Last week I had the pleasure of attending New Jersey Christmas Tree Growers’ Association Annual Twilight Meeting at Black Oak Farm in Asbury, New Jersey. Mr. Robert Housedorf was our host and led the group on a walking tour of his trees, while Dr. Ann Gould and I got to answer technical questions on diseases and insect pests. You might think — how boring — but I have to tell you, walking around in a farm field on a spectacular summer evening talking trees has a unique charm. Mr. Housedorf throws a pretty good party for sure! 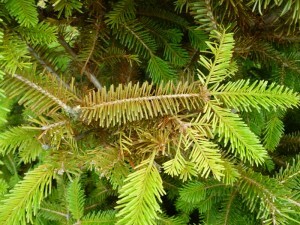 Among other things, we got to see some Swiss needlecast in the Douglas-fir. 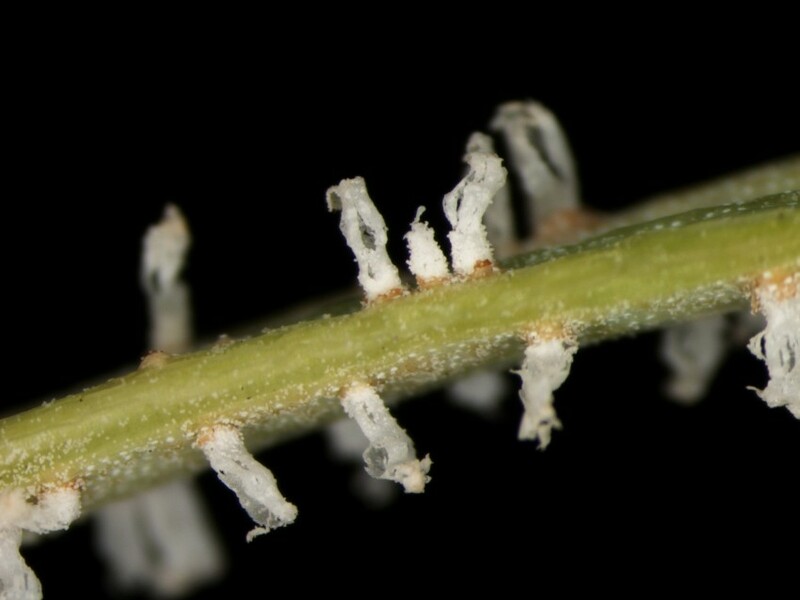 And some spruce spider mite damage in the spruce. 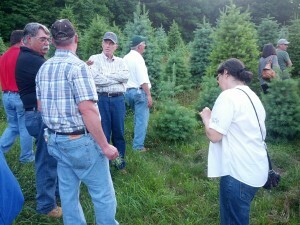 But the most fun of all (says the pathologist) was when we went to look at his concolor fir. Over the last few years, white fir, Abies concolor, has been gaining ground on Christmas tree plantations as a replacement for Douglas-fir and its needlecast issues. The tree is kind of fickle for a lot of reasons and does get its share of cryptomeria scale. In fact, some folks can’t seem to find success with them at all, but when they do perform, they really make a nice Christmas tree. The concolor on Mr. Housedorf’s farm are some pretty nice specimens. Seriously, he can grow a nice white fir. Looking around, however, we got a little surprise. 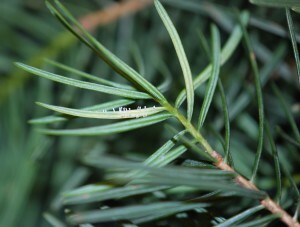 Several trees had small white structures on the bottoms of the needles. At first glance, we were thinking insect eggs, but as we walked around and saw more trees it became apparent that we were looking at a disease. Individual needles had yellow to brown blotches and were slightly bent. 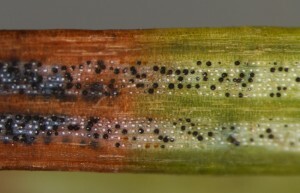 Under the blotches were white tube-like structures that turned out to be the fruiting bodies of a rust fungus. The structures we found on the bottom of the needles are called aecia. Interestingly enough, all aecia caused by rusts on fir needles have a white periderm (cover), so they all look the same to the naked eye. Inside the aecia, however, many of these rusts (Pucciniastrum species) produce yellow/orange aeciospores. 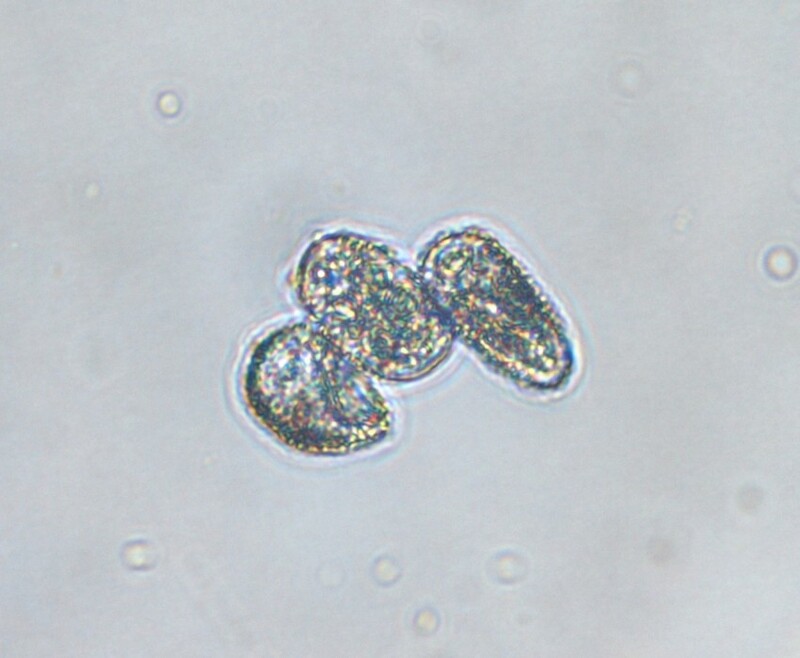 The fungus from last week had white aeciospores, which is characteristic of the fir-fern rusts. Fir-fern rusts are caused by one of as many as 10 species of fungi in the genera, Uredinopsis or Milesina. These rusts affect true firs and have ferns as their alternate hosts. Fir-fern rust, of course, is a generic identification. Unfortunately, we can’t accurately identify the causal fungus to species without having an infected fern. The fungus, Uredinopsis americana, has been reported on concolor and balsam fir in New York, so maybe that is what we are looking at here. 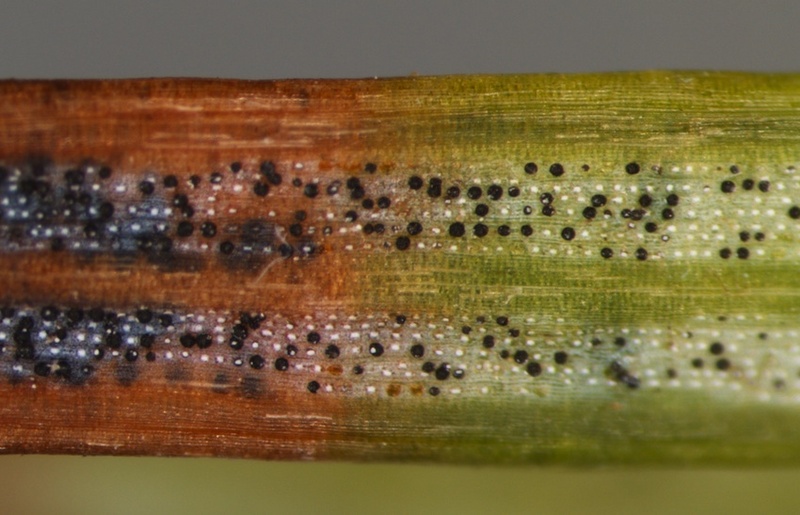 Infected ferns will exhibit yellow/orange leaf spots sometime in late summer and I would be grateful if some found their way into the lab. I am anxious to get an infected fern to see if we can name our critter. 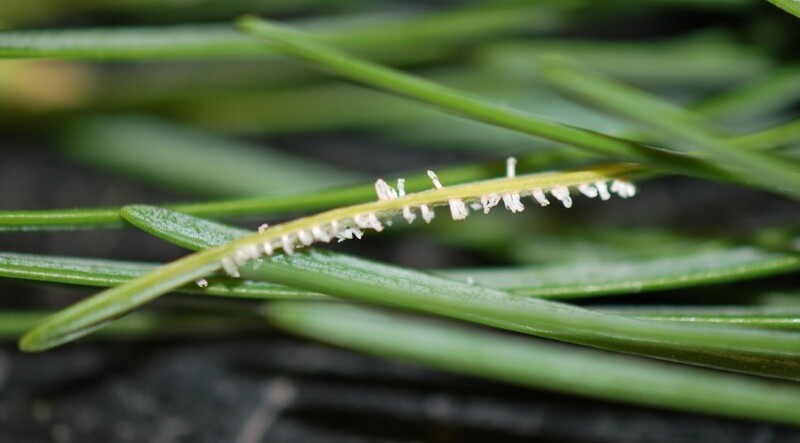 At any rate, it seems these white-spored rusts are pretty common in New England and have finally found their way south to the promise land of New Jersey.